This Week In DOCTOR WHO History: July 17th to July 23rd | Warped Factor - Words in the Key of Geek. So many days. So little Who. In his younger days the Doctor was very protective of his record collection, and when the Monk began to meddle with it - changing the chronological order of the Nena albums by putting Eisbrecher before Feuer und Flamme - the First was having none of it! And then, to top it all, the Monk suggests that Bongo Girl is better than 99 Luftballoons... well it was on! 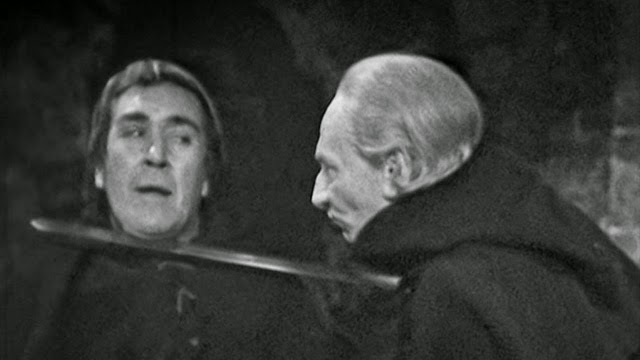 And all of this, possibly, took place in the 1965 episode of The Time Meddler titled A Battle of Wits. Part three of four broadcast at 5:40pm that glorious Saturday, and watched by 7.7 million viewers. 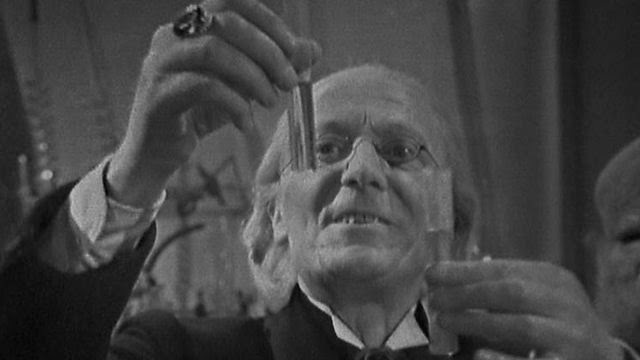 The good thing about being the Doctor is that you don't need to go to a Doctor for a check-up. And so here we have the First testing his urine for infection after a pretty nasty encounter with The Sensorites. The litmus paper was blue and fortunately all was clear, but the aptly named title A Race Against Death was still nail-biting stuff for the 5.5 million who tuned in that day in 1964. Nothing. Not a sausage. It's a Who drought and the Twelfth is so sad about it. Either that or he's just looking down the page and remembering that he once travelled with Bonnie Langford. Willingly. 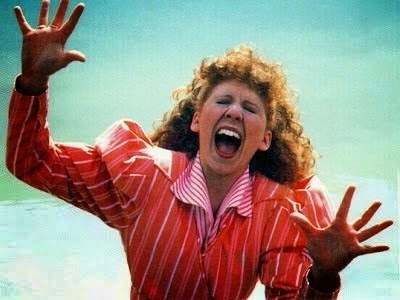 Poor Bonnie Langford, she can no longer take the Who drought going on throughout July, and this day being her birthday and all that! Still there's always the third episode of Torchwood: Miracle Day for her to enjoy. Titled Dead of Night, it was broadcast in 2011 and watched by 5.49 million viewers. Bonnie had them all round afterwards for a nice glass of carrot juice! That's it for this week, but did you watch any of these adventures live? Is Bongo Girl better than 99 Luftballoons? Tell us in the comments below.